Catalonia’s planned independence referendum has been suspended by Spain’s Constitutional Court. Spain’s Constitutional Court said it first needed to consider arguments whether the November 9 vote breached the country’s constitution. It acted on a request from the Spanish central government in Madrid. Catalonia leader Artur Mas signed a decree on September 27 calling for the referendum. However, Spanish PM Mariano Rajoy told reporters that the vote was not “compatible with the Spanish constitution”. Mariano Rajoy was speaking in a televised statement to the nation after holding an emergency cabinet meeting. Hundreds of thousands of Catalans joined a protest in Barcelona recently, calling for their right to vote. Unhappy at Spain’s refusal to give Catalans more powers, protesters have been energized by Scotland’s recent independence referendum and many also waved the Scottish flag. Catalonia’s 7.5 million inhabitants make up approximately 16 % of the population of Spain. Yet it is one of Spain’s richest and most highly industrialized regions, as well as one of its most independent-minded. Spain’s deepening economic crisis, though, has seen a surge in support for separation. 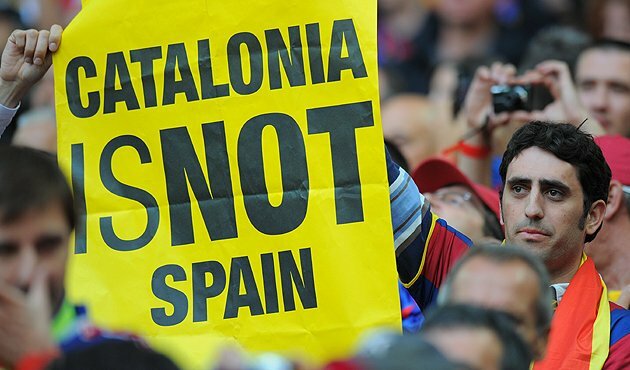 A recent poll for Spain’s El Pais newspaper showed that 45% of Catalans were in favor of suspending the referendum if the Constitutional Court declared it illegal. Only 23% would like the referendum to go ahead regardless, the survey suggested. Artur Mas has only recently become a supporter of full independence. Since 2007, he has spearheaded a push to revitalize Catalan nationalism known as the Refoundation of Catalanism.